Chocolate? At Caputo's Deli? Seeing as these are two of my favorite things, there was no way I could turn down an invitation from Matt Caputo and Janet Thaeler of Newspaper Girl to participate in an Introduction to Chocolate Class for Utah food bloggers! Earlier this year, I took a little visit to the Amano Chocolate factory with my sister's philosophy class, so I felt like I knew a little bit about fine chocolate before going into the evening, but I was excited to learn more! Plus - free chocolate? I'm all about that!! The primary goal of this introductory class was to help us learn the difference between "grocery store" chocolate and fine chocolate. During the course, we were given this infographic, which outlined some of the primary differences in how they are prepared, what they taste like, and why it's so much more expensive to get the good stuff! Matt Caputo, the course instructor, has been awarded by Salt Lake Magazine as Utah's Best Food & Wine Educator, and his passion for chocolate tasting that has grown in the past few years was clearly evident as we discussed the history and nature of the chocolate industry across the globe today. Also, how cute is the little girl in the back of that picture above? 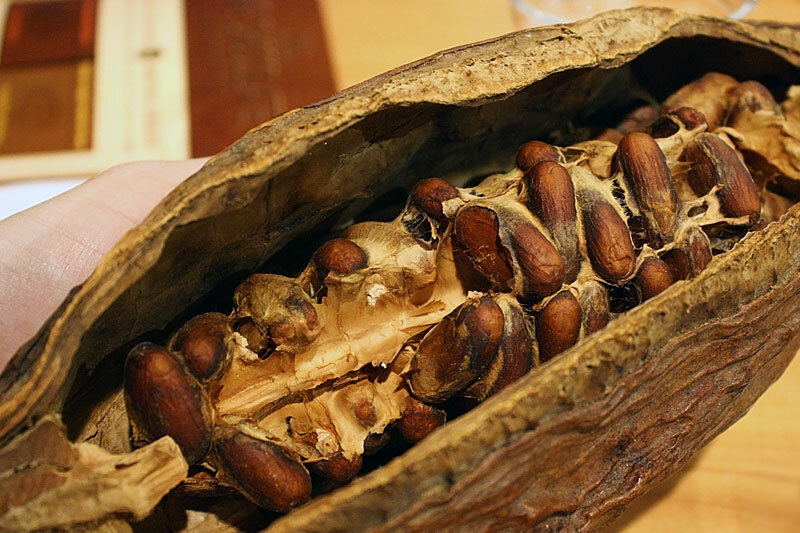 It was pretty crazy to hold and smell a cacao pod, and to try to envision how the chocolate bars at the grocery store could ever come from it! Who would ever think it would be a good idea to eat something from this? Cacao beans are naturally very VERY bitter, so it takes a lot of processing and modifications to get to the chocolate our taste buds are normally used to. But in order to get the real, best, most true chocolate flavor, you have to seek out the best cacao beans, the criollo variety, which are very rare and have incredible depth of flavor. Most cheaper chocolate companies just buy the most common beans, forastero, and then over-roast the beans to get rid of the bitter taste and substitute in loads of vanilla, sugar and cocoa butter to make it taste like "chocolate" again. In fact, Matt told us that in a blind taste test across the US, when people were asked to smell and distinguish between vanilla and cacao, more people thought that the vanilla was the real chocolate! "Grocery store" chocolate, as he referred to it, will smell like marshmallows, whereas fine chocolate will have a more fruity aroma. But if you are anything like I was during that class, you're probably thinking, "Dude! 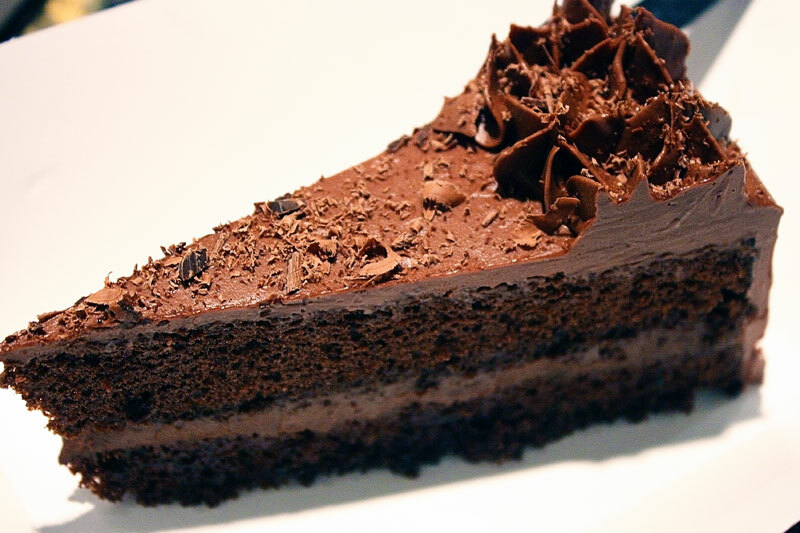 Let's get to the chocolate." 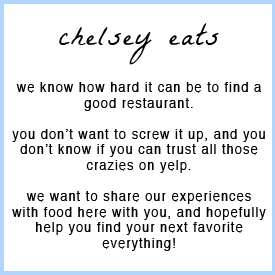 So seriously, let's talk about the kinds we tasted! We started off with the Patric 75% Madagascar chocolate. When I smelled this chocolate, there definitely was no hint of marshmallow aroma. This bar was made of a mix of criollo and trinitario (mid-quality) beans, and was surprisingly fruity and acidic. The best way I can think to describe it was that it had a very bright taste, and was SO different than chocolate you get at Macey's! Then we tasted the Pralus Indonesia chocolate. This bar was made from exactly the same mix of cacao beans, but since they were grown in Indonesia instead of Madagascar, they had a very different flavor. Rather than a fruity taste, it had a deep earthy flavor. This was definitely one of my favorite bars we tried because it was so unique. Next up was the Domori Arriba bar. This bar contained just cacao and sugar - no vanilla, cocoa butter, or any preservatives. Amazing. It is one of the world's leading "fruit forward" chocolate companies, as Matt described, and had undertones of hazelnut and citrus fruits. 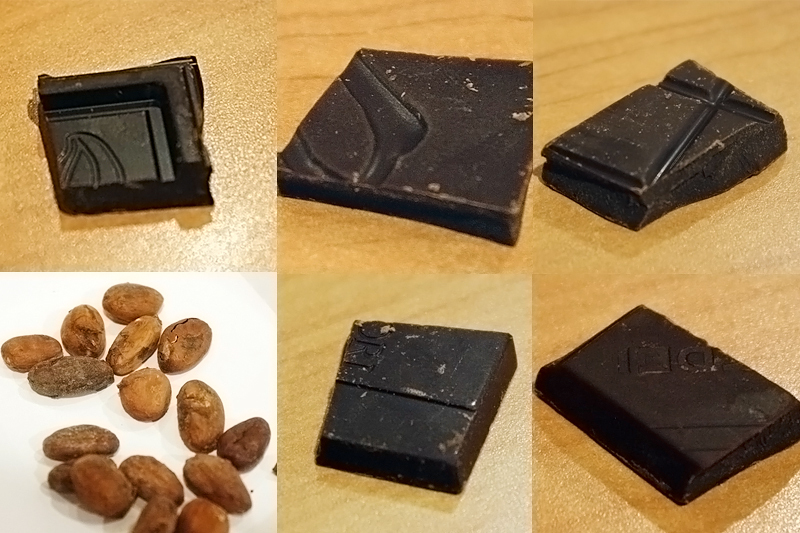 One thing that really set this chocolate apart was that the chocolate particles themselves are the smallest processed size in the world, so it had a very silky, melty texture. And when you were done eating the piece of chocolate, it left your mouth with that feeling you get after eating an underripe banana - incredible! We bought one of these to take home with us! Next we had the Dos Rios bar from Amano Chocolate company, which is found right here in Orem, Utah. Bet you didn't know that you had one of the world's leading artisan chocolate companies right in your neighborhood, did you? These guys are pretty passionate about their chocolate making, and it shows in every chocolate bar they produce. This Dos Rios bar had hints of bergamot (flavor in Earl Grey tea), clove and lavender, and was deliciously fruity. I've tried nearly every variety of Amano chocolate, and really have been fascinated by them all. You'll never get bored with the complex flavors in each bar, and they really are a unique treat. And not a bad price either! I would definitely recommend supporting this local chocolate company and their incredible chocolate-making ventures. Finally, we ended the course with the "world's best chocolate bar," the Amedei Chuao chocolate bar. Surprisingly, this one actually wasn't my favorite, but I think it is because it had a less distinct and sharp flavor compared to the other bars. The notes in this smooth and rich bar were more subtle, and it's a chocolate made from the world's best beans that you would never get tired of. 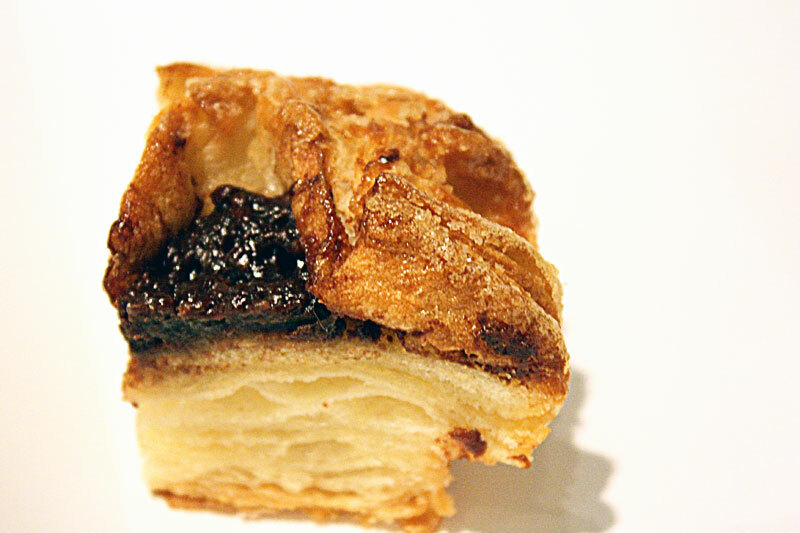 We also got a little quarter sample of their kouign amann, a heavenly caramelized pastry that was filled with an Amadei Chuao chocolate ganache. If I wasn't already super satiated by the chocolate cake, I likely would have eaten at least six of these. Kouign amann is one of the most incredible pastries I've ever partaken of, and they produce it beautifully. 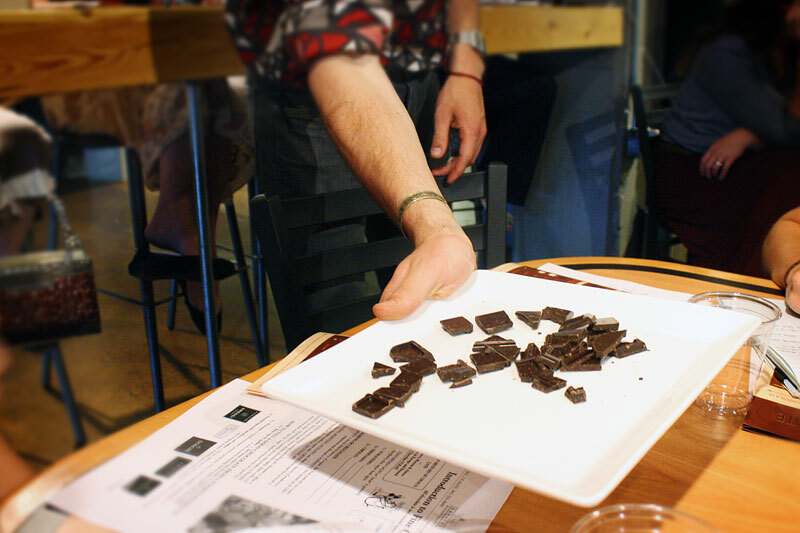 What You Should Do: Take the Intro to Fine Chocolate class yourself and find out what it's all about! 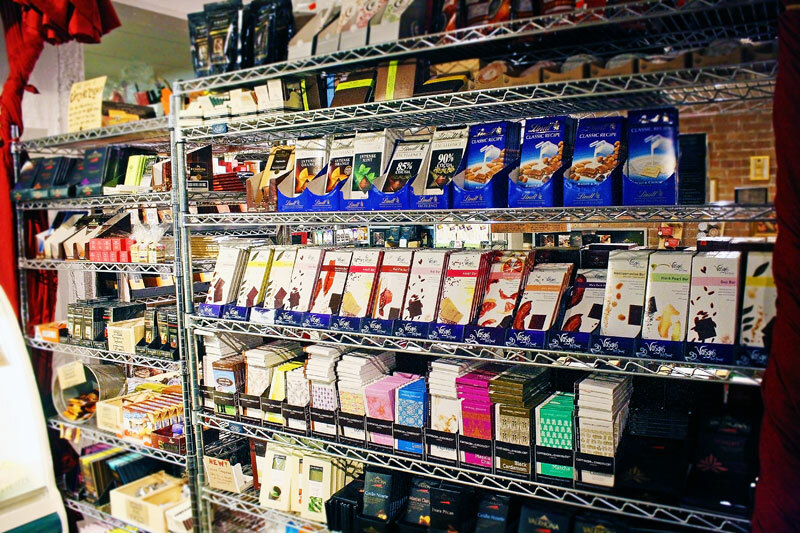 When I had originally visited Amano Chocolates and brought back some bars to share with Owen, he didn't really appreciate the unique flavors and thought I was crazy for being so into it. Now, he's the one pressuring me to buy tons of different fine chocolates! Though I'll still probably eat the pretzel M&Ms I have in my cupboard, it's fun to learn about the world of artisan chocolate. If you're interested in signing up for your own introductory course, you can check out their list of classes here on their website. Owen and I seriously want to try one of their fine cheese courses next! And a huge thank you to Janet Thaeler of The Newspaper Girl and the Utah Hive for organizing this event with Caputo's Deli - it was a great opportunity to meet other Utah food bloggers and partake of some truly incredible chocolate! Chelsey and Owen, so happy you came and thanks for the killer post about the event! It was nice meeting the bloggers behind the reviews. 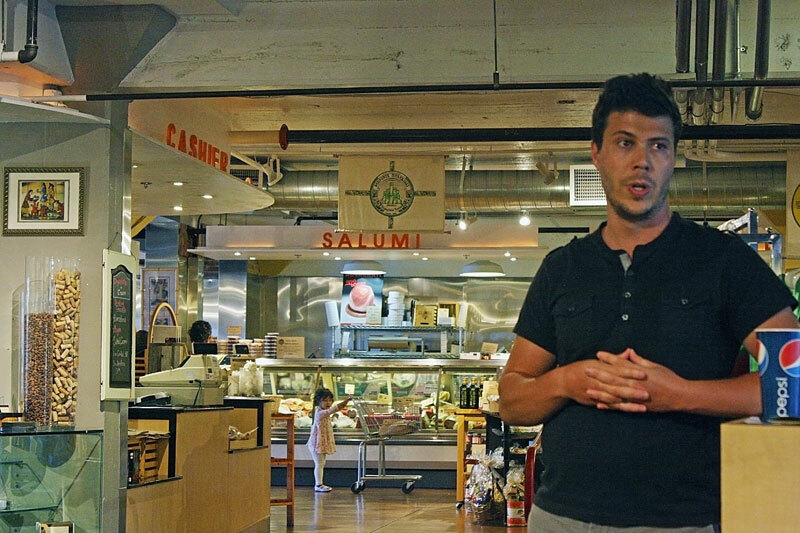 I hope to organize the cheese class so I'll keep you posted. 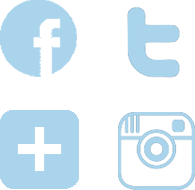 feel free to watermark them with your blog URL.